Axel Anklam began his career with an apprenticeship as an ornamental blacksmith and worked as a restorer for the Stiftung Preußische Schlösser und Gärten in Potsdam (Prussian Palaces and Gardens Foundation Berlin-Brandenburg). He then went on to study sculpture at the Burg Giebichenstein, University of Art and Design Halle, Saxony-Anhalt, where he focused on metalwork. He continued his studies in sculpture at the UdK Berlin, where in 2004, under the supervision of Tony Cragg, he graduated with a Masters degree. 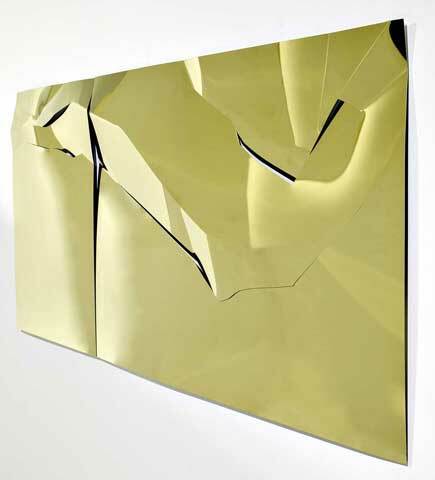 Besides working with the classic material, stainless steel, Anklam extended his sculptural media repertoire by incorporating contemporary materials, such as fiberglass, epoxy resin and carbon, in his work. With this combination of hard and soft materials he has developed a pared-down, reduced and clear design vocabulary; the architecture of his sculptures originates through an interaction of light and space. Combining his deep roots in craftsmanship with a higher artistic sensibility, his original sculptural works oscillate between weightlessness and heavy mass. Classical Greek harmony, studies of Pythagoras, natural phenomena, perceptions of landscape and also music are stimuli for Anklam’s creations. Through the artistic process, he transforms all of these elements into elementary forms and tries to encounter the essence of a structure, making his conceptions visible. Axel Anklam won the First Prize in the Percent-for-Art Competition in 2013 for the new building of the Bundesministeriums für Bildung und Forschung [Federal Ministry of Education and Research] in Berlin. Working in cooperation with Thomas Henninger („Eunomia macrocosmica ∑3), in 2014 he produced two large multimedia installations.